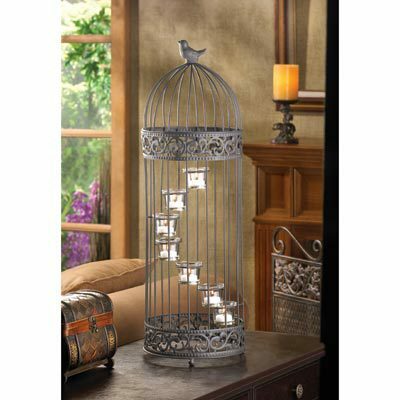 D1232 BIRDCAGE STAIRCASE CANDLE STAND home decor, jewelry, decor, decorations, electronics, fountains, floor mats, art glass, vases, garden essentials, fireplace screens. Weight 4.7 lbs. 9" diameter x 28" high. Iron and glass. Candles not included.